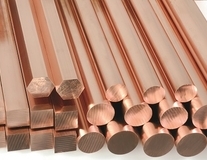 At Metelec, we carry a wide range of copper bar. All of our copper bars are manufactured within our extended group. The copper bar that we stock are unrivalled in the UK and all bespoke products within the scope of our manufacturing range can be made available on short lead times. To get a full appreciation of the diversity of the stock range please give us a call on +44 (0)1922 712665. 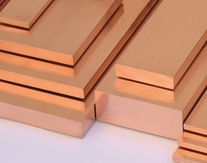 Copper bar is used in various electrical applications and requires several key electrical and mechanical properties including high electrical conductivity, good formability and surface flatness. These key properties rely heavily upon quality of raw materials and consistency of the production process. With formidable experience and history in the production of copper bar specifically designed for extruded copper busbar production, Metelec Ltd are 100% wholly owned by the Gindre group of companies. ETP (Electro Tough Pitch Copper) is cast from the highest purity copper cathode available grade "A" LME registered brand. 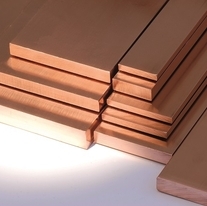 The right material and the right production process make our ETP Copper bar perfect for all technical and economical solutions to any electrical applications dealing with copper bar, busbar, busduct and profile. By taking the highest quality copper cathodes and utilising the most advanced technology and combining this with the vast experience developed since 1823 we produce a final product with the following qualities. The complete package with the ability to offer the best package for the supply of Copper bar in the UK.